GERALD RUDOLPH. FORD was born as Leslie Lynch King, Jr. in Omaha, Nebraska on July 14, 1913. He was the only child of Leslie Lynch King and Dorothy Gardner King. Two weeks after his birth, his mother left her husband and took her son to live with her parents in Grand Rapids, Michigan. His parents were divorced in 1914 and his mother met Gerald R. Ford at a church function. They were married on February 1, 1916 and although Ford never formally adopted her son, he gave the child his name, Gerald Rudolph Ford, Jr. Young Ford did not know until 1930 that he was not the biological son of his father, but he took the name legally on December 3, 1935. In later years, Ford saw his natural father only a few times and learned that he had remarried and fathered another boy and two girls. Growing up in Grand Rapids, Ford attended the local grade schools and worked in his stepfather’s paint and varnish store. The Fords were a close-knit family, which included three younger half-brothers. He achieved the rank of Eagle Scout and was the star center for the South High School football team. He won a football scholarship to the University of Michigan in Ann Arbor in 1931 and played center on their undefeated national football championship teams of 1932 and 1933. After his graduation in 1935, Ford received offers to play professional football with both the Detroit Lions and the Green Bay Packers but instead he entered Yale University to study law. He accepted a job as assistant football coach and freshman boxing coach to finance his studies. He graduated from Yale in 1941 and returned to Grand Rapids to open a law firm with Philip R. Buchen, a friend from the University of Michigan. In April 1942, Ford enlisted in the Navy and was commissioned an ensign. After orientation, he became a physical fitness instructor at the pre-flight training school in Chapel Hill, North Carolina. In the spring of 1943, he was assigned to duty aboard the USS Monterey, which took part in most of the major operations in the South Pacific. He earned ten battle stars and was discharged as a lieutenant commander in February 1946. Ford returned to Grand Rapids and became a partner in the firm of Butterfield, Keeney and Amberg and became active in local Republican politics. With the encouragement of his stepfather, who was the county Republican chairman, Ford decided to run for Congress. 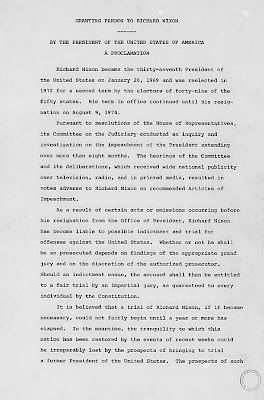 He won the election to the House of Representatives from Michigan’s 5th Congressional District in 1948, receiving 61 percent of the vote in the general election. During the height of the campaign on October 15, 1948, Ford secretly married Elizabeth (Betty) Bloomer Warren. She was a fashion consultant for a leading Grand Rapids department store. She had previously been married to William C. Warren, having been divorced in 1947. Betty was born in Chicago and had studied dance with Martha Graham and had been a model in New York. The couple would have four children: Michael Gerald, born March 14, 1950; John Gardner, born March 16, 1952; Steven Meigs, born May 19, 1956; and Susan Elizabeth, born July 6, 1957. 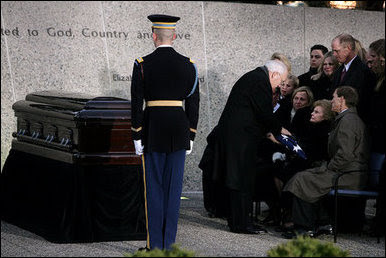 Ford was reelected twelve times, serving from January 3, 1949 to December 6, 1973. 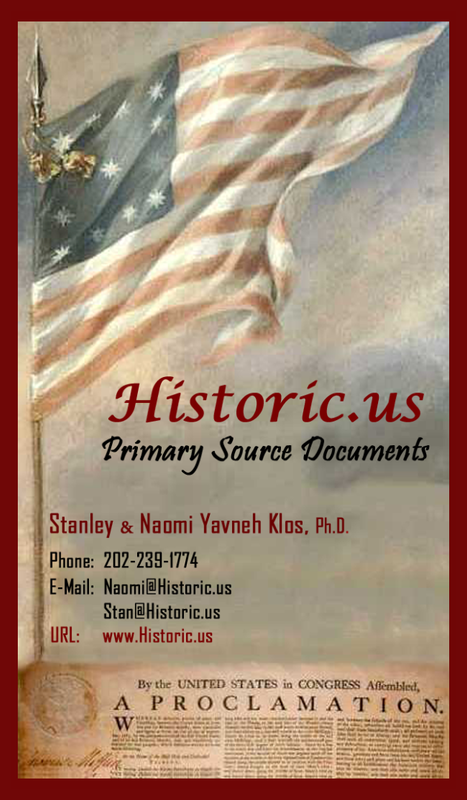 He served on the House Appropriations Committee and rose to prominence on the Defense Appropriation Subcommittee, becoming its ranking minority member in 1961. In November 1963, President Lyndon B. Johnson appointed Ford to a special task force set up to investigate the assassination of President John F. Kennedy. 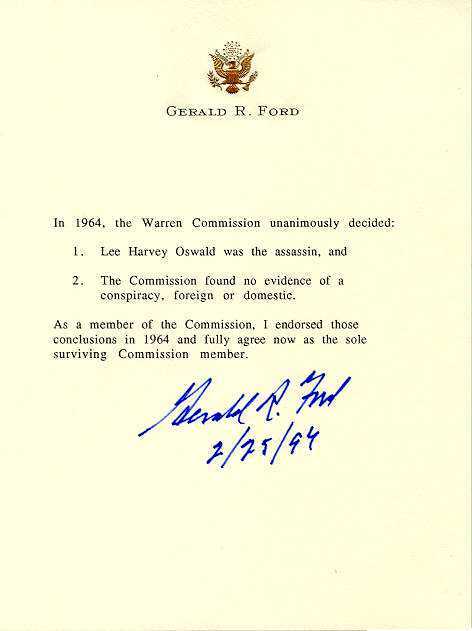 The Warren Commission assigned Ford the task to prepare a biography of Lee Harvey Oswald. The Commission's work, despite all members concluding Oswald worked alone, continues to be debated in the public arena. His reputation as a legislator grew and he became House Minority Leader in 1965. 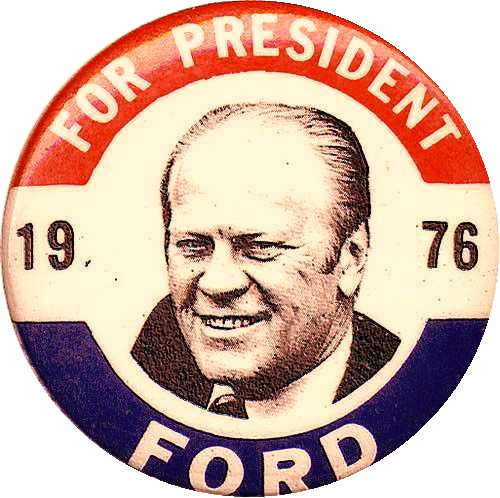 In both the 1968 and 1972 elections Ford was a loyal supporter of Richard Nixon who had been a friend for many years. 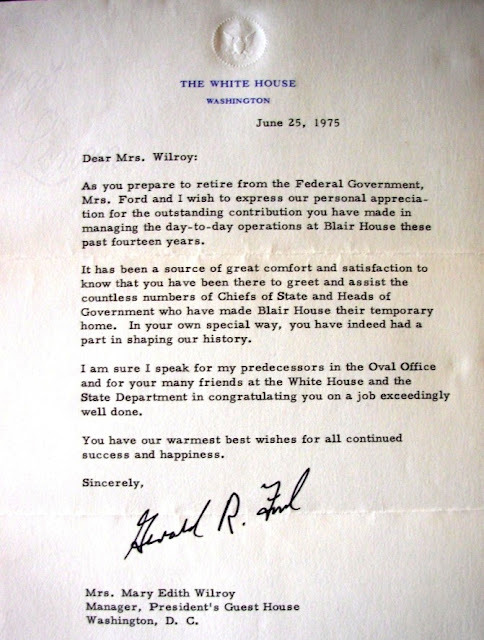 In 1973, when Nixon’s Vice President, Spiro T. Agnew, was forced to resign over a income tax scandal, Nixon picked Ford as the new Vice President. 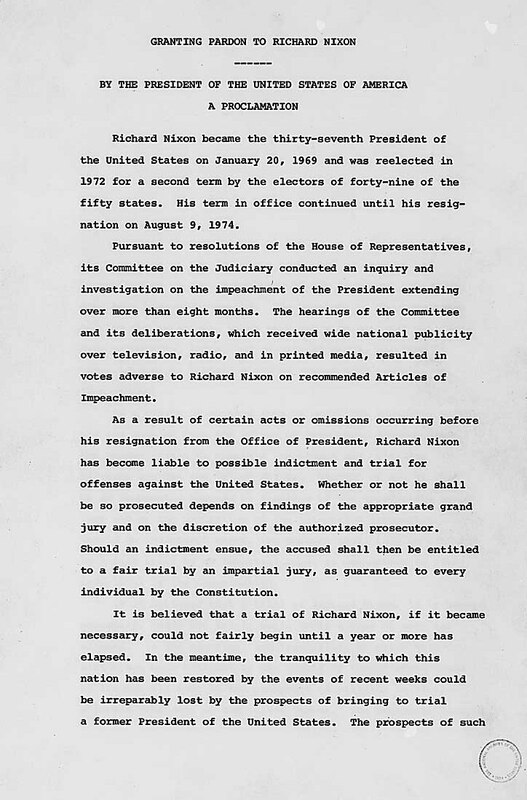 Following the most thorough background investigation in the history of the FBI, Ford was confirmed and sworn in on December 6, 1973. 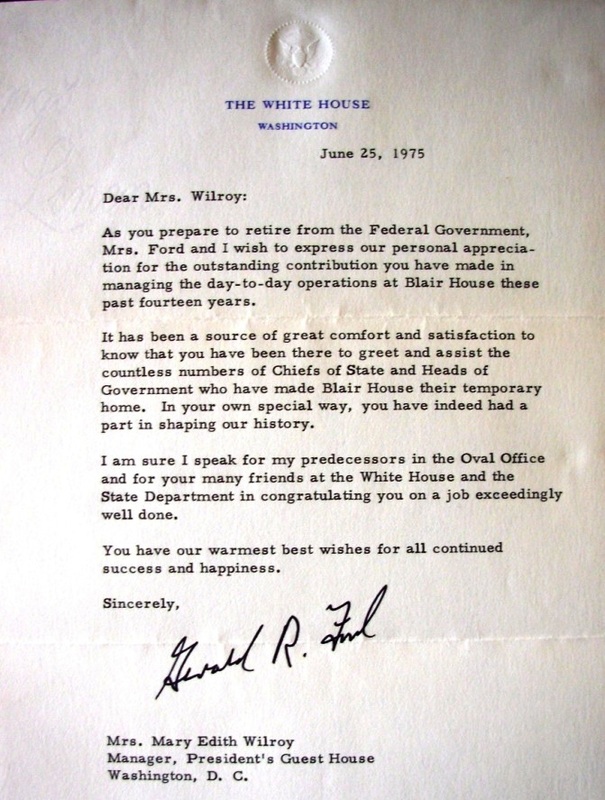 The following year, Nixon resigned over Watergate and Ford became President. He became the first person to become President of the United States without having been elected president or vice president. 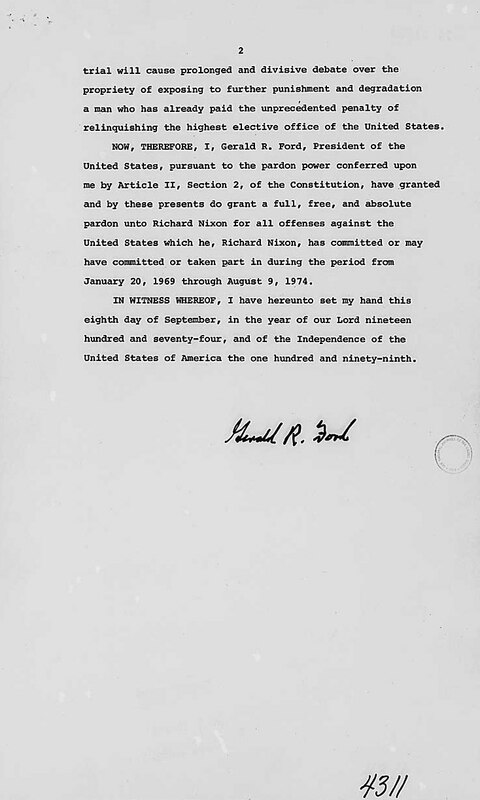 Ford took the oath of office on August 9, 1974 and within a month he nominated Nelson Rockefeller for vice president. 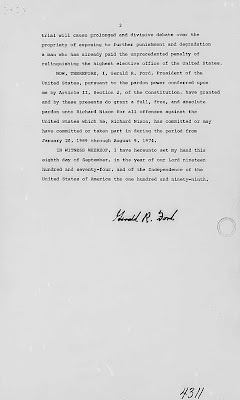 On September 9, 1974, Ford granted Nixon a “full, free and absolute pardon”, believing that protracted impeachment proceedings would keep the country from focusing on its other problems. Public reaction was most negative and the decision may have cost him the election in 1976. Ford presided over a period of steadily improving relations with the Soviet Union, reaching an agreement on limiting nuclear arms. He had the misfortune to inherit the weakest American economy of the post-World War II period. He faced rising inflation, rising unemployment and rising energy use. In the spring of 1975 the North Vietnamese began their last offensive of the war. Only a small contingent of American personnel remained in Saigon and as the North Vietnamese advanced toward the capital, they were forced into a desperate and chaotic evacuation. On April 30, 1975, the war was officially ended. On two separate trips to California in September 1975, Ford was the target of assassination attempts. Both of the assailants were women – Lynette “Squeaky” Fromme, a follower of convicted murderer Charles Manson, and by Sara Jane Moore. Ford fought a strong challenge by Ronald Reagan to gain the Republican nomination during the 1976 campaign. He chose Senator Robert Dole of Kansas as his running mate but lost to Democrat Jimmy Carter in one of the closest elections in history. Ford returned to private life in California where he built a new house in Rancho Mirage. He continues to actively participate in politics and campaigns extensively for Republican candidates. In August 1999, Ford received the Medal of Freedom presented by President Bill Clinton. This honor, the nation’s highest civilian award, was in recognition of Ford’s role in guiding he nation through the turbulent times of Watergate, the Nixon resignation and the end of the Vietnam War.